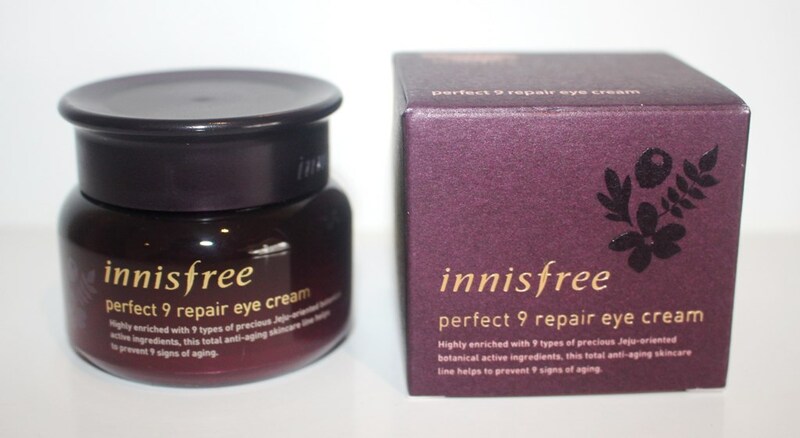 The Innisfree Perfect 9 Repair Eye Cream claims to be a complete anti-ageing eye solution. It contains 9 active ingredients from the Jeju Island elixir complex™ to firm and brighten skin and also combat the symptoms of ageing: dryness, wrinkles, flakiness, darkening, blemishes, enlarged pores and reduced elasticity. This concentrated eye cream contains 9 active ingredients from the Jeju Island elixir complex™ said to tighten and brighten the sensitive skin around the eyes. 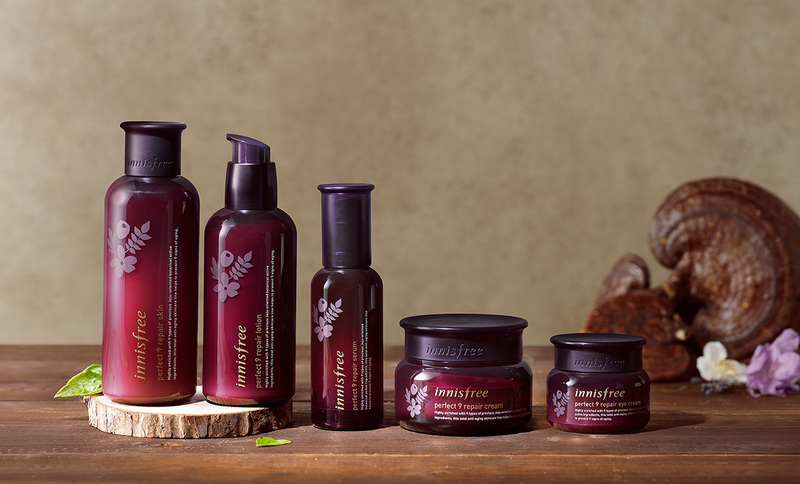 Innisfree fails to identify which 9 extracts are sourced from Korea’s Jeju Island and since I am not familiar with the region’s natural resources, I will simply review this as any other formulation of ingredients, natural or otherwise without reference to their origins. Both organic Green Tea Extract and Houttuynia Cordata Extract (sometimes called fish mint due to its smell), deliver a potent antioxidant hit to the eye cream formula. They combat free radicals resulting from sun damage, pollution and the environment to promote increased skin elasticity and a reduction in fine lines and wrinkles. Anti-inflammatory properties also make them effective healers, green tea commonly used to treat skin disorders such as psoriasis, dandruff, rosacea and acne whilst houttuynia cordata helps to control blemishes. Mushroom Extract, Tangerine Peel Extract, Cocoa Extract and Japanese Pepper Extract are also antioxidants delivering similar benefits. Furthermore, mushroom extract has been used medicinally for hundreds of years due to its high content of Beta-glucans (sugars) which help to calm dry, itchy skin and modulate the immune system. Together with Mugworth Extract, Dandelion Extract and Prunella Vulgaris Leaf Extract, they protect and detoxify skin through their anti-inflammatory capabilities, reducing swelling, redness and flakiness. 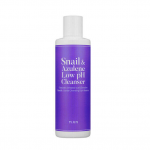 Squalane plus Raspberry and Orchid Extracts extracts also display anti-ageing, antioxidant and humectant properties to soothe, condition and moisturise the skin for even skin tone and radiant complexion. Then there’s Arbutin, a bearberry plant extract that prevents the formulation of melanin to deliver a brightening effect. Its slow release benefits ensure it is non-irritating. 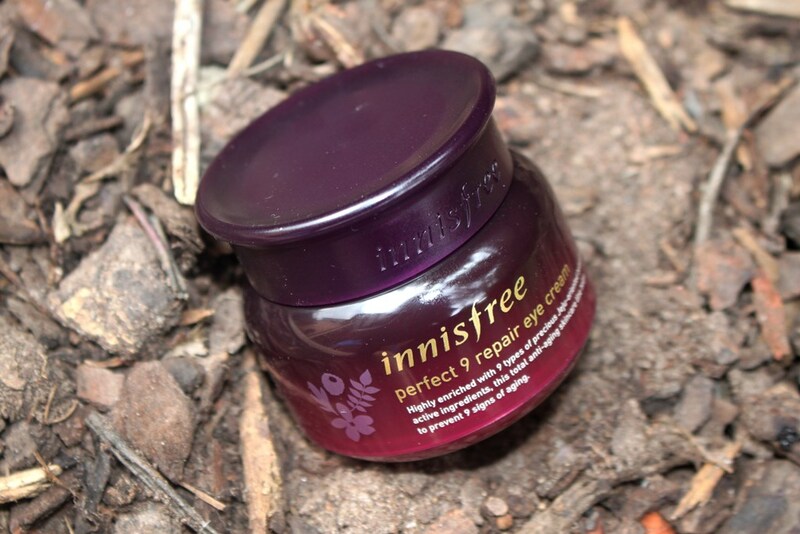 Another star ingredient in this eye cream is the extract from the Prickly Pear. It has very high Vitamin E and essential fatty (linoleic) acid content assisting to reduce hyperpigmentation, strengthen the skin barrier and thus increase moisture. Furthermore, Vitamin K helps brighten under-eye circles and reduce redness, inflammation and puffiness. Antioxidants additionally encourage collagen production to lessen fine lines and wrinkles. Together with these, several ingredients are added primarily to combat wrinkles. Derived from yeast, Adenosine is naturally present in the body. Beta Glucan, derived from oats, delivers advanced topical skin benefits including reduced irritation and inflammation. Both deeply penetrate the skin to stimulate collagen synthesis, as such improving wrinkles and assisting with their prevention. Polymethyl Methacrylate helps fill wrinkles and lines for a smoother surface and perceived reduction in wrinkles although it is unlikely to have any prolonged anti-ageing effects. After water, Butylene Glycol is the most concentrated ingredient, highly effective at increasing the penetration and hence effectiveness of other actives in the formulation. 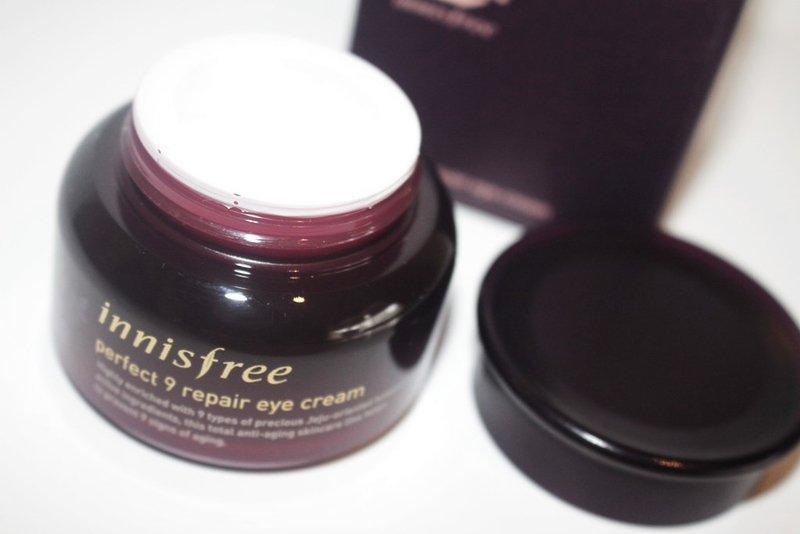 Innisfree have superseded the Perfect 9 Repair Eye Cream with a new and improved version. 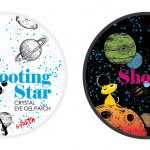 I reviewed both ingredient lists and the core items are the same with a few new introductions and some omissions which I have discussed below. The following is a comprehensive list of the first release, the cream I trialed. So, what are the new actives found in the updated formula? The first is Meadowfoam Seed Oil which is a rich source of tocopherol and antioxidants, close in composition to natural sebum so easily absorbed into the skin. 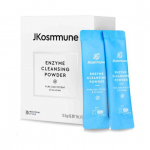 It assists to reduce skin damage and fine lines and together with Hydrogenated Vegetable Oil, slows the loss of water from the skin by strengthening the surface barrier. Mango Seed Butter is emollient and displays uplifting and freshening effects. It’s also a good healer much like Evening Primrose Root Extract, since it is an excellent source of essential fatty acids. Silica absorbs surface impurities and oils and Niacinamide evens out skin tone for a brighter complexion. Finally, Sodium Hyaluronate is an especially penetrative and effective hydrator. In creating the new formula, the following active ingredients have been removed. Hydrogenated Polyisobutene, Caprylic/Capric Triglyceride, Caprylyl glycol and a ceramide called Hydroxypropyl Bispalmitamide MEA are great moisturisers, achieving this by reinforcing the skin barrier to reduce moisture loss. Due to high levels of tannins, flavonoids and resin in Witch Hazel Leaf Extract, this ingredient is able to balance natural oils and clear pores without over-drying as well as reducing eye puffiness. Caffeine also helps with puffiness by restricting small blood vessels to lessen inflammation. 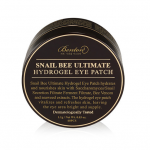 This minimizes dark circles and sagging skin under the eyes. Shea Butter is an effective moisturiser, helping to maintain skin elasticity and hydration as well as assisting to reduce fine lines and wrinkles. Glyceryl Caprylate is derived from glycerin and caprilyc acid and helps make skin soft and smooth as well as preventing liquids and oils within the formulation from separating. Efficacy, economics and consumer response are among valid reasons why companies may change a product’s formulation. 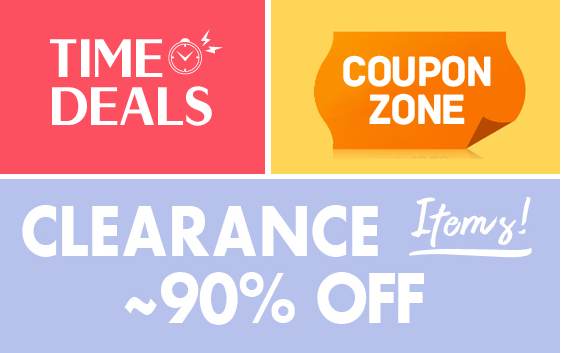 In this case, the bulk of the product remains consistent. Focusing on the differences only, it appears similar properties and benefits are delivered using slightly different actives. Upon closer inspection, a few humectants and moisturising agents have simply been replaced by like ingredients (other humectants and moisturisers), so no real change on this front. The only minor difference is the preference for healing and brightening elements (evening primrose root extract and niacinamide) over puffiness reducers (caffeine and witch hazel root extract). However, these variations represent a minute percentage of the product content. There is much consistency between the formulations and as such they should both deliver similar performance. If there was a more significant variation, you would expect the release of a new product not an update. The cream comes in an opaque plastic screw top tub with plastic lid. When new, it has a protective seal over the opening. 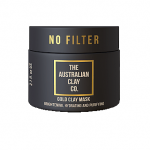 The ingredient list of this product reads favourably due to a significant presence of natural extracts. As such, the CosDNA analysis reflects a healthy product. With an acceptable score of 5/10 due primarily to the inclusion of fragrance, (a known irritant), the EWG Cosmetics Database, rated the cream fair. This product has a very minor floral scent which is hardly detectable. 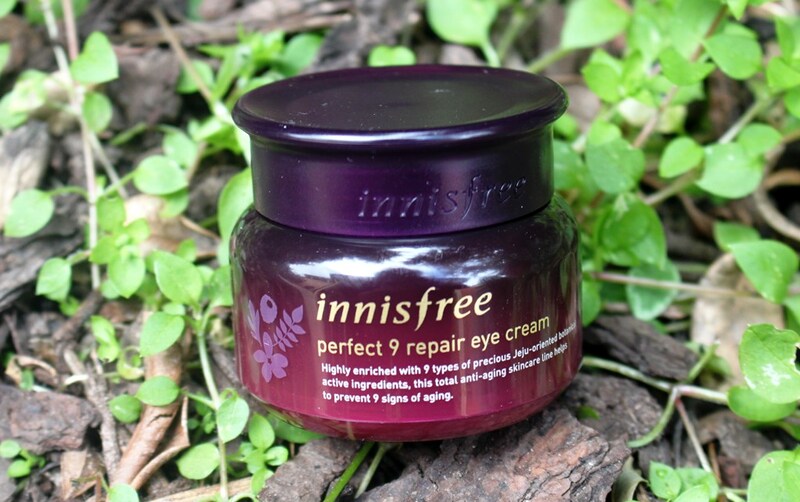 The Innisfree Perfect 9 Repair Eye Cream comes in a 30ml jar and sells for approximately AUD$63.00. 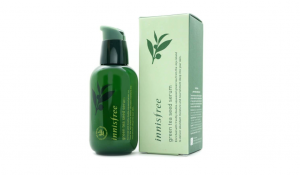 Innisfree is a popular Korean skincare brand that is widely available online for Australian consumers. You can buy their products from a great range of stockists. I purchased mine from Style Korean. 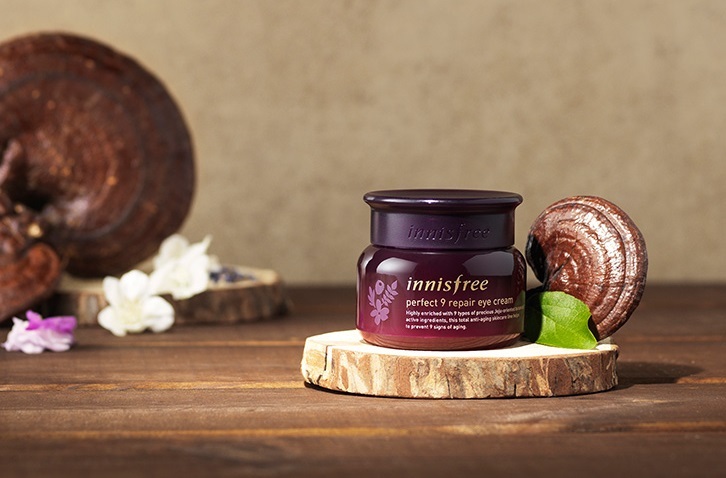 As with all Innisfree products, the eye cream belongs within a dedicated skin care line, this one boasting Jeju enriched botanical actives, it’s objective being the reduction of the 9 signs of aging. All items are similarly presented in distinctive wine coloured packaging. The eye cream is my first choice from within this range. 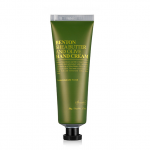 The cream itself is quite firm which makes it easy to dispense and apply. Only the smallest amount is required so the 30ml container should last several months, even with morning and evening use. This puts the AUD$63.00 price tag into perspective (around $10 a month with a.m. and p.m. application). The smell is so minor that I don’t even notice it. As far as hygiene goes, the packaging is not ideal with a large opening with screw top lid protection, but fairly standard in terms of eye creams with sufficient preservatives to keep bacteria from forming. In order to test as accurately as possible, I applied this product to the lid and under area of only one eye so I could compare the difference and really gauge its performance. Let’s reconsider the 9 manufacturer claims and assess whether the anticipated benefits were in fact observed. I noticed a hit of hydration almost immediately. The forumla soaked into the skin over a period of a few minutes. It felt creamy but not greasy. My skin looked and felt moisturised upon application. After the first week, the difference between the cream treated eye and the other became quite apparent. A timely, small but annoying, recurring, flaky patch on my lid was treated with the cream. Within a few days, it completely disappeared and did not return over the three week trail period. So, the claim on flakiness is also met. 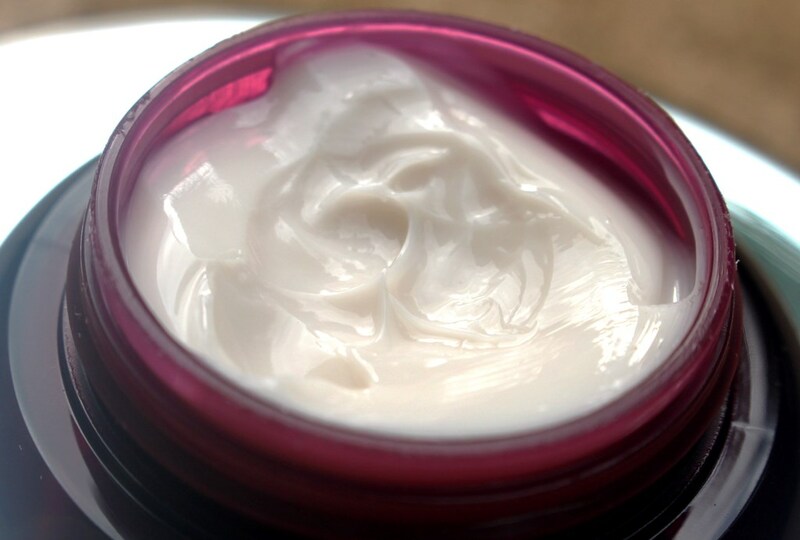 I am always skeptical about creams and lotions that claim to reduce wrinkles. In my experience, most simply do not. 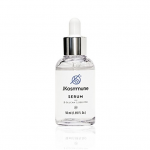 I have had positive results with anti-wrinkle serums so I am optimistic that it is possible with the right product. However, despite the fact that ingredients have been incorporated to fight wrinkles and fine lines, in this case, I personally saw no improvement. 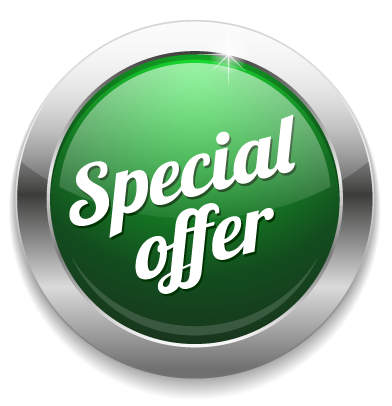 Having said that, there are actives present to deliver wrinkle benefits but I would expect if they do take effect, it would only be noticeable after a few months not during a fairly short 3 week trial. 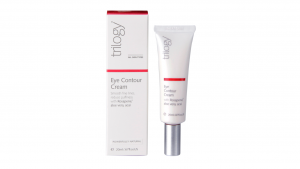 I was very impressed with this cream’s ability to reduce the darker pigment around both the lid and under eye areas. And it didn’t even taken long to achieve. According to the ingredient list, the main actives that contribute lightening and brightening are arbutin and prickly pear extract. The former is high up in the list indicating a fair concentration is included whilst midway placement suggests prickly pear extract features to a much lesser extent. I finished a whole bottle of The Ordinary Alpha Arbutin 2% serum which claims to reduce spots and hyperpigmentation (twice daily spot application), disappointingly with no visible results. But this is something different! Having applied the cream to only one eye, the improvement is even more obvious. The image following shows the treated right eye (shown on the left), has a much brighter lid and also less under eye discolouration after only three weeks use. 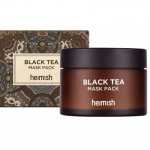 Caffeine and witch hazel extract applied topically have anti-inflammatory properties said to de-puff and reduce dark circles for a fresher look. These may also contribute to the perceived changes. As I have no blemishes on my eyes, I was unable to test for this effect. I have never thought that the pores around my eye area look enlarged, quite the contrary. It is not possible to change the size of pores, only their perceived appearance. As they are already very fine, it would be impossible to detect any reduction, so I will refrain from making judgement on this aspect. 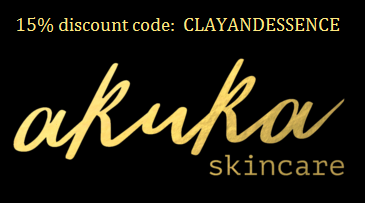 Elasticity is the ability of skin to be stretched and then return back to its original form. Elastin gives skin its resilience and bounce. As with many skin properties, this reduces with age resulting in a less toned appearance or sagging. If you consider the image above, the treated eye, shown on the left, has less sag on the eyelid crease than the one on the right so there is some visible difference suggesting an improvement in skin tone. The encouragement of collagen production assists skin firmness. As firmness and elastin are interrelated, it is near impossible to separate them in this assessment. Therefore, the observations made at point 7 equally apply. Since an increase in brightening is essentially the same thing as darkness reduction, brightness is already addressed in point 4. An ideal eye cream for me should hydrate, moisturise, reduce dark under eye circles and firm the skin as much as possible around the eyes as well as soften crows feet and fine lines. I have never been able to find one product that can deliver all these benefits. I doubt one actually exists. This one comes awfully close! 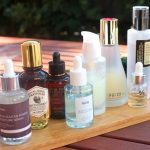 Regarding the 9 benefits, I believe these represent the entire skincare line and as such, some are more applicable than others for each product. I imagine the reduced appearance of pores and blemishes is a measure for face products such as the face cream, cleanser, toner, serum and lotion. So if we eliminate these from the assessment, this cream comes very close to delivering on the manufacturer’s broad promise. 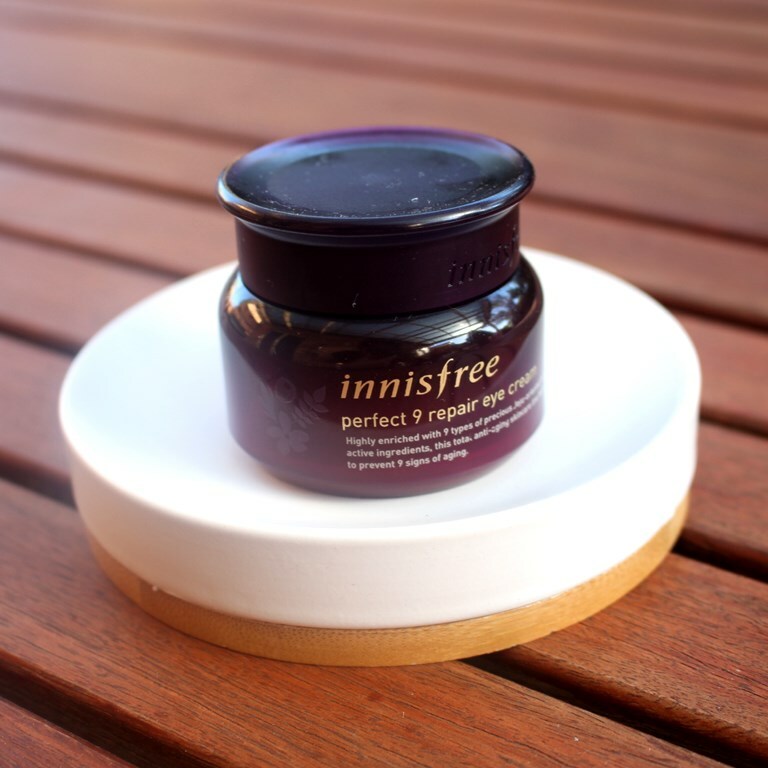 Using the Innisfree Perfect 9 Repair Eye Cream for three weeks, I observed noticeable benefits for dryness, flakiness and darkness with some improvement in firmness also. I didn’t observe a reduction in the appearance of fine lines and wrinkles but the actives don’t rule it out. This is definitely one of the best eye creams I have tried and will take great pleasure in using it all up. 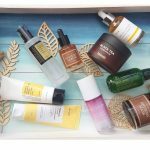 The only thing that might stop me repurchasing is the desire to trial more! Thank you for such a detailed review and for showing the cosDNA analysis! It was very helpful to read. You’re welcome. Glad it was useful for you. Thank you so much for the detailed and best review… As I bought this cream.. Happy after reading yours. Thank you for the detailed review. It was very helpful. What product do you suggest for fine lines around the eyes? 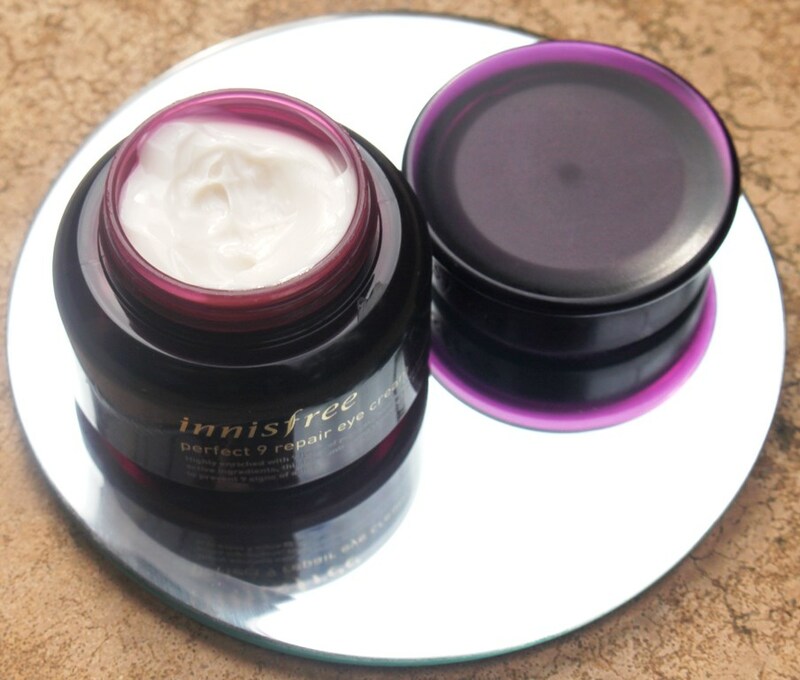 The Innisfree is probably the best eye cream I have discovered to date. Maybe consider an eye serum that would have anti-ageing ingredients such as peptides to use under a cream you trust/like or search for an eye cream with similar properties. Personally, I use the Timeless Synthe’6 serum (http://clayandessence.com/timeless-matrixyl-synthe6-serum/) on my eyes as well as my entire face as it is very gentle and then I apply an eye cream over the top. Hope that helps.